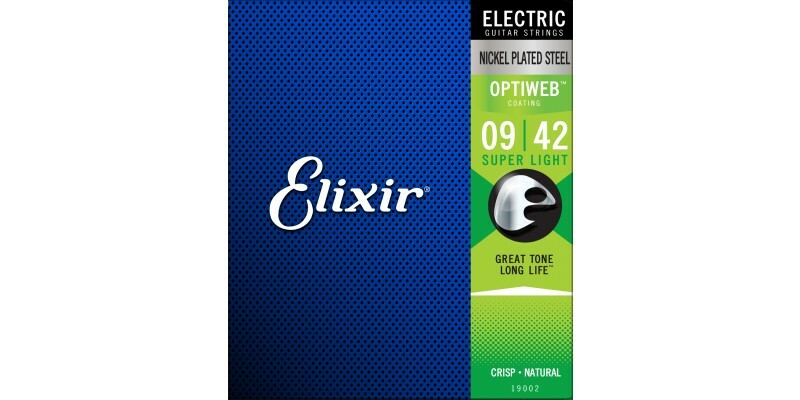 Elixir OPTIWEB Super Light Electric Guitar Strings 9-42 feature a brand new optiweb coating. OPTIWEB strings offer all of the benefits of a coated guitar string with the natural feel of an uncoated set. After trying a set of Elixir OPTIWEB strings you may never go back to what you used before. Buy now from Merchant City Music for fast delivery across the UK and beyond. Alternatively, pop in to our Glasgow guitar shop where we just might have a couple of guitars strung with Elixir OPTIWEB strings so you can demo a set for yourself. The clever people at Elixir have really outdone themselves with these new OPTIWEB coated strings. Years of research and development have gone in to creating a string that lasts every bit as long as a coated string with the natural feel of an uncoated guitar string. Players will notice that these nickel-plated steel strings have all of the crisp brightness that a fresh set of uncoated strings has. The difference is when it comes to longevity. Imagine a set of strings that give you the feel of a brand new uncoated string but last up to 5 times longer, that's what Elixir have created with OPTIWEB. Through their extensive trials, Elixir let players A/B the sound of uncoated strings to OPTIWEB coated strings and musicians cannot hear the difference. The tone is bright and snappy, much like how high quality uncoated strings sound. 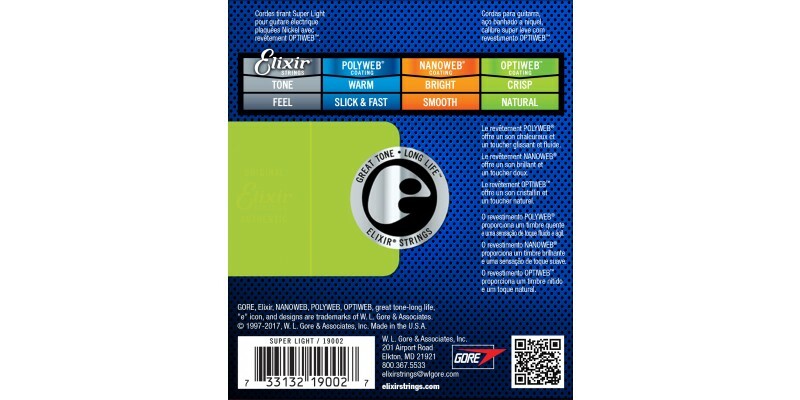 Elixir pioneered coated string technology back in the ’90s, which has made them the top acoustic guitar string brand. With these new OPTIWEB strings, Elixir have set their sights on the electric guitar string market. The feel of guitar strings can often be subjective, you never know until you try. 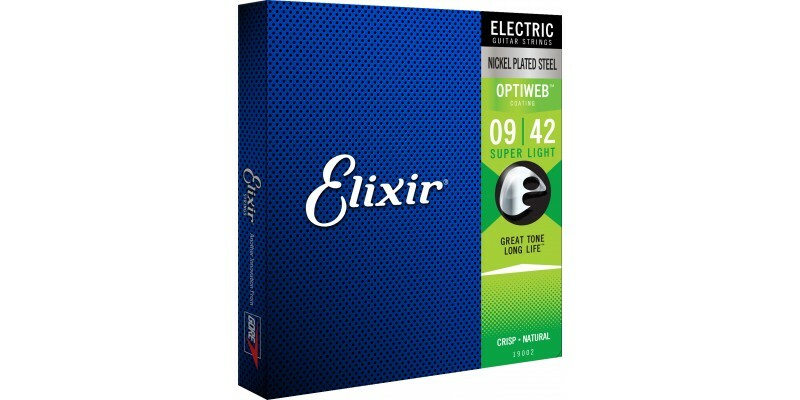 We would urge you to try a set of Elixir OPTIWEB Super Light Electric Guitar Strings 9-42, they really are that good!